To create an effective sales presentation, you need efforts and strategies. In the first post, we have shared the key tips to do before getting down to crafting the content of your sales presentation. Now, with all the right pointers and a clear plan, you are ready to work with your computer on creating a killer presentation in terms of content and visual quality. A well-made sales presentation will not only impress your potential clients but also help you close deals faster. 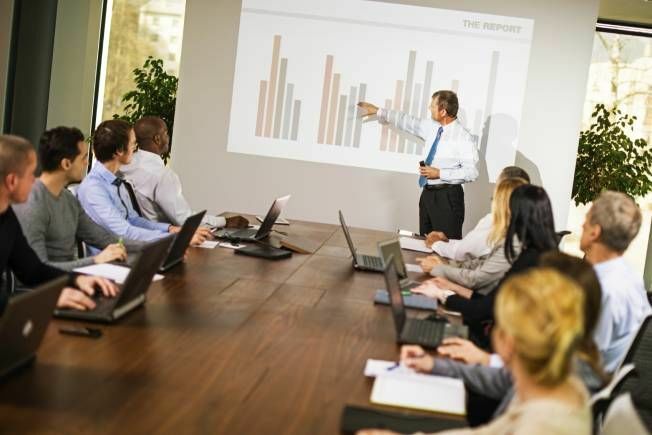 For sales presentations, we normally use PowerPoint or Keynote to create sales presentation, and either of two works fine for sales presentation. You don’t need to have a graphic design background in order to use the design software in making slides. What matters in the sales presentation is the relevance and balance of the content. Here are some tips to create a sales presentation with relevant, persuasive sales message with an engaging design. It is advisable to map out your key points in each slides. Less is more. Don’t try to add too many things in one slide. For each slide, one key point is good as it is easier for your audience to understand and follow. Besides, it is also easy and convenient to trace back the slide in discussion. You know which slide for which point, and you can get back to the slide confidently and swiftly when your prospects ask you any question regarding the points in the slide. This not only boosts your confidence but also helps you make an impression that you get well-prepared for the sales presentation. Use the Outline view of Keynote or PowerPoint to sketch out your ideas quickly, and to ensure you get the ideas in a coherent, logical order. The audience don't want to read slides full of text or full of images. For slides full of text, the audience will get bored easily and lose concentration. For slides full of images, it will be hard for the audience to capture and remember the key points. Use visuals and text, and for each slide, you should try to balance the amount of visuals and text. Besides, it is more effective to visualize data as the audience will understand the message from data more easily. Use diagrams to show processes or flows of information, use an image to show a person, a place or object. Try to use demo or video clips to engage the audience as well, but don’t use too many videos because you are the host of your presentation. Again, there’s no need to use fancy design software to create beautiful fonts for the slides. However, you need to pay attention to the fonts, the colors and text size for the presentation. Make sure that you use the right colors and the text size that is easy to see and looks visually pleasant. Also, choose the correct font. Each font has different personalities, and different fonts will convey different ‘look and feel’ for your presentation. If your presentation is for a managing director in the field of technology or healthcare, will you use these fonts below? You can go a little bit creative by not using the common font like Arial, Times New Roman. However, think twice before choosing a font for your sales presentation.